Для добавления русской раскладки, обновите приложение до 1.3.3 (или выше) и удалите ".config/FingerTerm/" После перезапуска вы сможете воспользоваться ей. If you don't know what is it, please don't install and use this package. 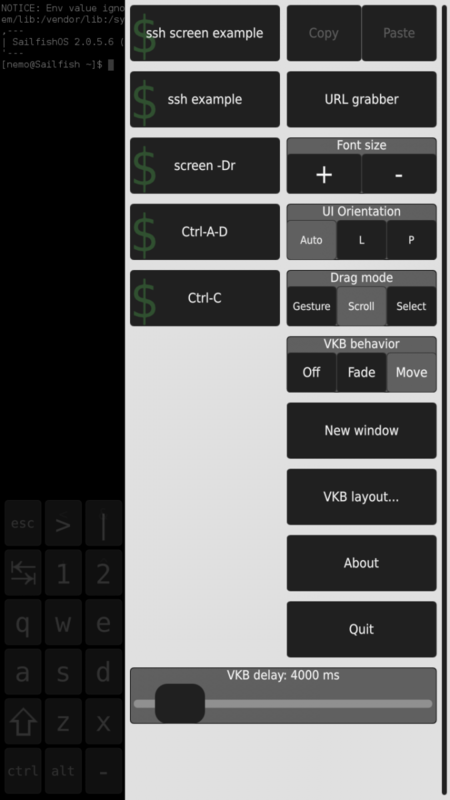 FingerTerm is a terminal emulator designed for touch-based interaction, specifically for (but not limited to) use on the Nokia N9 and Jolla's Jolla device. - [fingerterm] Add a minimal delay between key press and release. - [fingerterm] Don't apply shift on keys that are accessible only with shift. - [fingerterm] Fix VKB toggle on tap. Is there any good reason (for an ordinary user) to install this instead of the stock version? 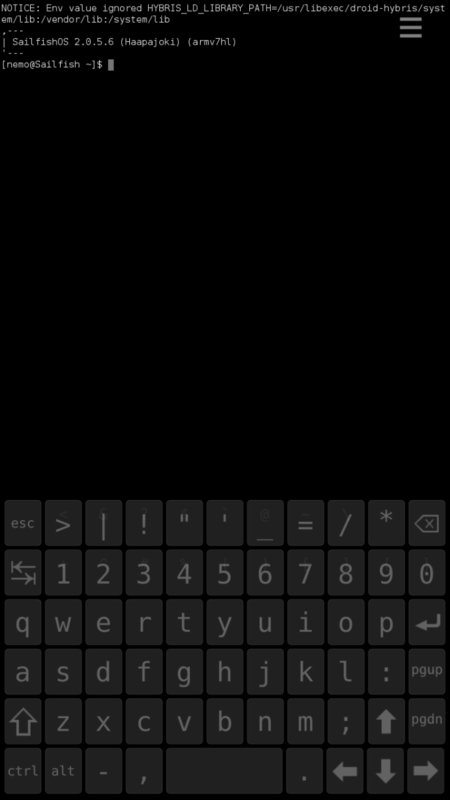 I see only one new bug (1.3.2): When you click on text area, touch-keyboard not "jumping". You should touch ctrl or another key for entering your text.